The word diaspora, as explained on Oxford Dictionaries Online, is most closely associated with the dispersion of the Jews beyond Israel. However, it is also defined as ‘the dispersion or spread of any people from their original homeland’. To learn more about diasporas around the world, we asked Kevin Kenny, Professor of History at Boston College and author of Diaspora: A Very Short Introduction to share some of his extensive knowledge. In the twentieth century, many other globally scattered groups began to use diaspora to describe themselves. Among the first to do so were the Armenians and people of African descent. For the latter, Exodus provided a central theme. Babylon is a central symbol in the lexicon of diaspora. After the destruction of the Temple in 586 BCE, the Jewish elite was exiled to the city of Babylon. As depicted in Hebrew scripture, Babylon conjures up images of sorrow and despair. Members of the Rastafari movement today, likewise, use the word Babylon to refer to Jamaica and the West – the land of slavery and alienation. Yet Babylon, in both the literal and metaphorical sense, was also the site of immense cultural creativity. 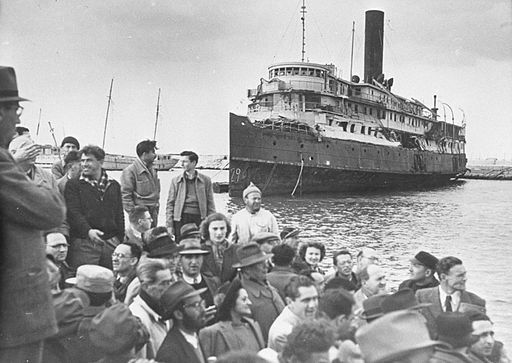 Since World War II, the idea of diaspora has proliferated to an extraordinary extent. One reason for this development was decolonization, which forged transnational bonds of solidarity among globally scattered populations, notably those of African origin. Decolonization also led to the expulsion and forcible remigration of many groups, especially those of Asian origin (e.g., ethnic Chinese in Indonesia and Vietnam or South Asians in East Africa). Another reason for the increased popularity of diaspora is the international recognition of refugees. There have been refugees in history as long as there have been wars, plagues, and famines. But formal recognition by the UN brought new attention to the problem. Today the various UN agencies classify 15 million people as refugees, in addition to another 15 million Internally Displaced Persons (IDPs) and 3.5 million stateless persons. In 2000 the UN designated the 20th of June as World Refugee Day. The massive scale of contemporary international migration leads some commentators to proclaim an Age of Diaspora. If the 217 million people currently classified as international migrants moved to an unoccupied country, they would make up the fifth largest country on earth. In 2000 the UN designated the 18th of December as International Migrants Day. Yet, as a proportion of the world’s population, the rate of international migration is lower than it was a century ago. Almost every diaspora involves the idea of return. Sometimes return is literal and physical, as in the case of the Zionist movement or the relocation of African-origin people from the Americas. More often, the desire to return is heightened by the knowledge of its impossibility; in these cases it can assume potent political, cultural, and spiritual dimensions. The great majority of African-descended people in the Americas, for example, could never hope to move literally to Africa — but this very fact helps explain the efflorescence of Back-to-Africa movements. Ireland is by no means alone in this move; many other governments are doing much the same thing. Armenia, China, and India have special divisions and departments dealing with diaspora affairs. The African Union recognizes the African diaspora as its sixth region. Governments are experimenting with dual or flexible citizenship, including economic privileges and voting rights. Today the term diaspora is used to describe migrants of every kind. But if migration and diaspora are synonyms, why are both words necessary? What does using the word diaspora explain? Kevin Kenny is Professor of History at Boston College. His principal area of research and teaching is the history of migration and popular protest in the Atlantic world. His books include Diaspora: A Very Short Introduction, Peaceable Kingdom Lost: The Paxton Boys and the Destruction of William Penn’s Holy Experiment, Making Sense of the Molly Maguires, and The American Irish: A History. He is currently researching various aspects of migration and popular protest in the Atlantic world and laying the groundwork for a long-term project investigating the meaning of immigration in American history. some people are using diaspora simply for migration of all kinds. It is not so. What do you say? Studying the Book Of Daniel. Any knowledge you may have to help me understand the Diasphora. Babylon,Isreal,Palestine.ect.. The first sentence should say around 250 BCE, not “250 CE”. The United States of Diaspora. How is African Americans described as a diaspora when they were brought here as slaves?, they did not willingly come here to north or south America. The Jews willingly left because of persecution. Also the migration of African Americans from the south to northern states was again to save their children and families from lynchings and persecution from white supremacist people and government. When I looked up “fun fats about the Jewish diaspora” this was the first thing that popped up. Although i was not pleased with the information I was provided, I did learn some things on here that is useful.